The village of Mabou, where the ride begins, is a charming community steeped in Gaelic and Celtic tradition. You will find fine old homes, a lively pub, bakery, restaurant and cafe, comfortable inns and craft shops selling handmade items, a performing arts centre, traditional Celtic music, weekly local square dances, a special shrine dedicated to the Mother of Sorrows and one of Inverness County’s liveliest summer events – the Mabou Ceilidh* Festival. 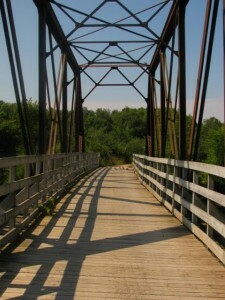 This ride begins just south of the bridge at the trail junction of Hwy Route 19. Taking the trail across Route 19 on the left, heading east will lead you under a canopy of hardwood along the inlet. 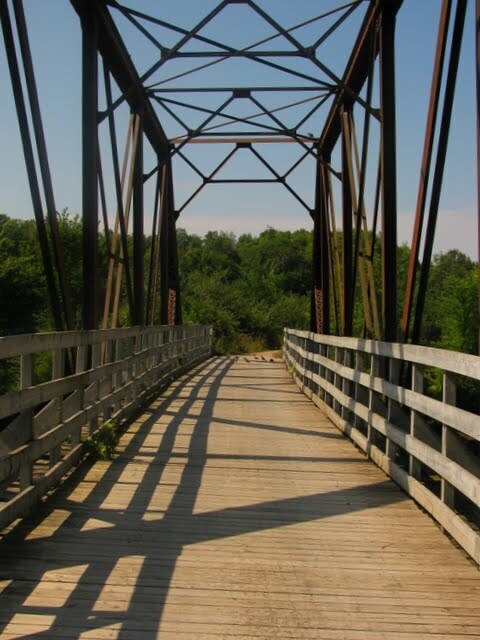 You will pass by several choice fishing spots, over wooden bridges and the site of a former grist mill. Watch for eagles overhead as this section of the trail will take you past prime nesting areas for bald eagles, as well as working farms, old orchards and meadows. The shores of Lake Ainslie lap near the trail in Kenloch and the thrill of passing over the wooden trestle bridge won’t soon be forgotten. The end of the trail brings the rider into the seaside community of Inverness. Crossing over Hwy Route 19, passing hole #12 at the Cabot Links golf course, the viewscape lies open before you with the fishing boats at the harbour, the greens of Cabot Links and the beautiful Inverness beach. The beach and boardwalk beckon you to run barefoot in the sand or take a dip in the ocean. In town you will find amenities with a choice of eateries, cafe and fine dining, as well kayak and bike rentals, fishing charters, a gift shop, banking, hospital and pharmacy. Accommodations in the vicinity range from vacation home rentals, motel, hotel, seaside cottages, camping and inns. 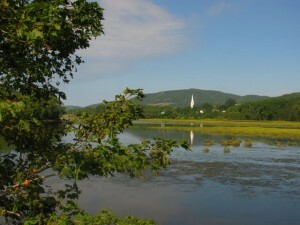 Inverness hosts its Inverness Gathering Festival and nearby Broad Cove Concert the last week of July annually. * Ceilidh (pro. K-lee) – translated from Gaelic means house party/kitchen party – always a fiddler or two, accompanied by guitar or piano, spoons and sometimes bagpipes.